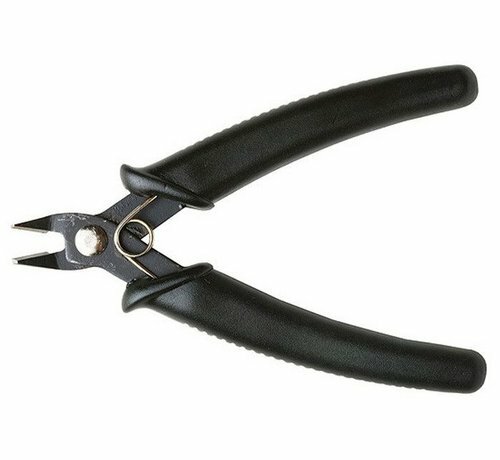 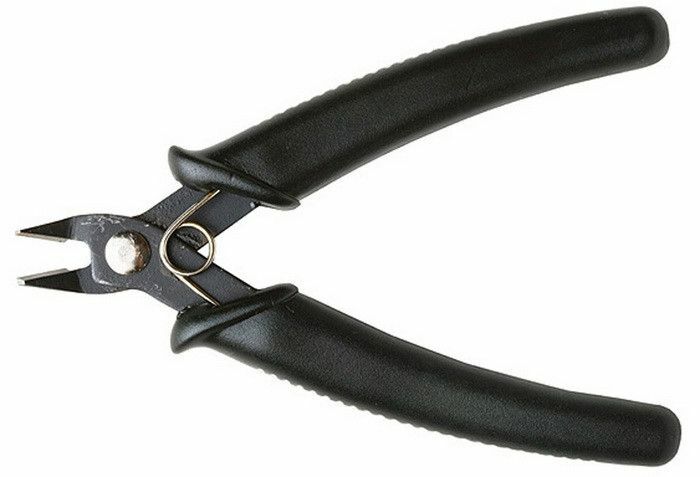 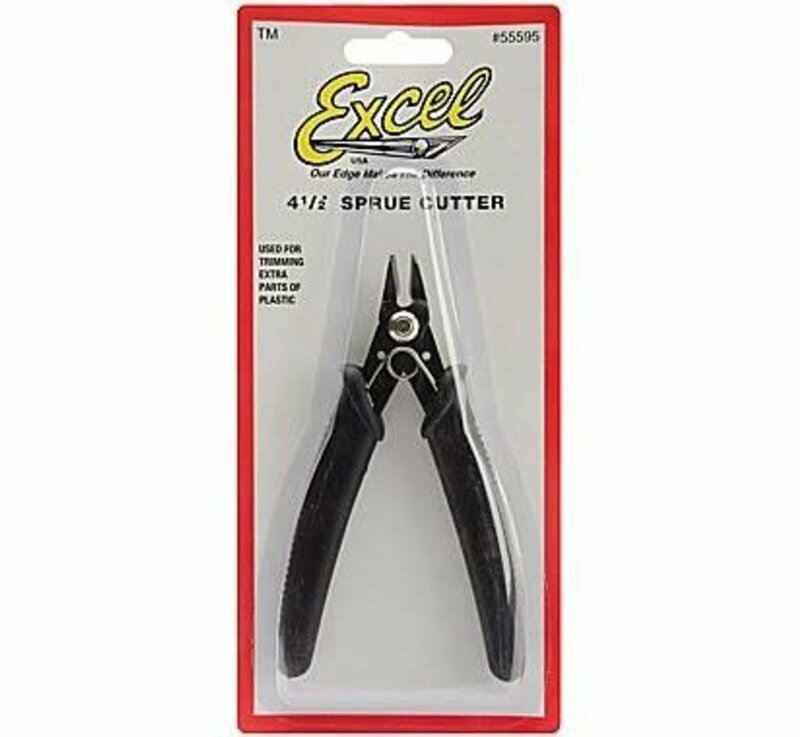 This is a Plastic Model Sprue Cutter (Black) Product #55595 by Excel Tools. 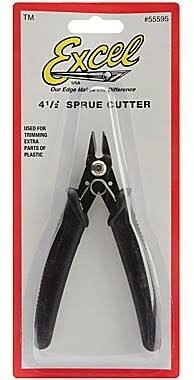 The extra sharp blade cuts extremely close reducing extra trimming to a minimum. 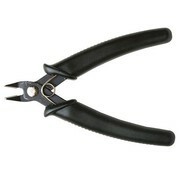 Cutter includes soft grip handle and positive action return spring for plastic model building.